George Washington Channell, son of Allen A. Channell and Sarah Rebecca Metcalf, was born on 31 Dec 1858 in Pennsylvania. 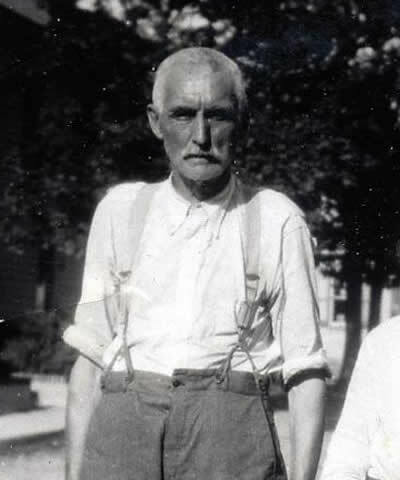 He married Elizabeth E. Ferry, daughter of John Ferry, on 23 Aug 1883 in Fawn Grove, York County, Pennsylvania. George died on 21 Apr 1937 at home, Fawn Grove, York County, Pennsylvania. He is buried in the Fawn Grove United Methodist Church Cemetery, Fawn Grove, York County, Pennsylvania. New development! George Channell was in the US Army, briefly. According to a Register of Enlistments, teamster George W. Channell of York County, Pennsylvania enlisted in Baltimore, Maryland on 24 May 1880, at the age of 24. He served as a Private in Company F of the 5th Artillery before being discharged on February 11, 1881 due to a disability suffered in Atlanta, Georgia. He also appears in the 1880 Federal Census, living in Fawn Grove, Pennsylvania in June, so maybe he didn’t ship out immediately.